We have a legacy class that override the class from the jar file. That override works well in webapp, but not in Junit. This is the Junit solution. Therefore, in Junit, we set the order of classpath correctly, and the problem gone. // Step 1: Load the JDBC driver. // Step 2: Establish the connection to the database. 3. NOTE that, if package function return CLOB, java will return as Types.OTHER (1111 like above output ). If we use Types.OTHER in ps.registerOutParameter(), we will face the following error. We must pass Types.CLOB into ps.registerOutParameter(), not Types.OTHER. – other applications that might want to process exception in a different manner. It’s always better to define exception handling strategy at the design time and rather than throwing and catching multiple exceptions, we can create a custom exception with error code and caller program can handle these error codes. Its also a good idea to create a utility method to process different error codes and use it. Exceptions are costly and sometimes it’s not required to throw exception at all and we can return a boolean variable to the caller program to indicate whether an operation was successful or not. For example, while updating the stock quotes in database from a third party webservice, we may want to avoid throwing exception if the connection fails. The below is some problem I faced when I due with javadoc. Therefore, I think it is good to note it here. Please remove or make sure it appears in the correct subdirectory of the classpath. Use the right “javadoc” version. In this case we should use javadoc of jdk 6 ( 50.0 ), in stead of jdk 5 ( 49.0 ). 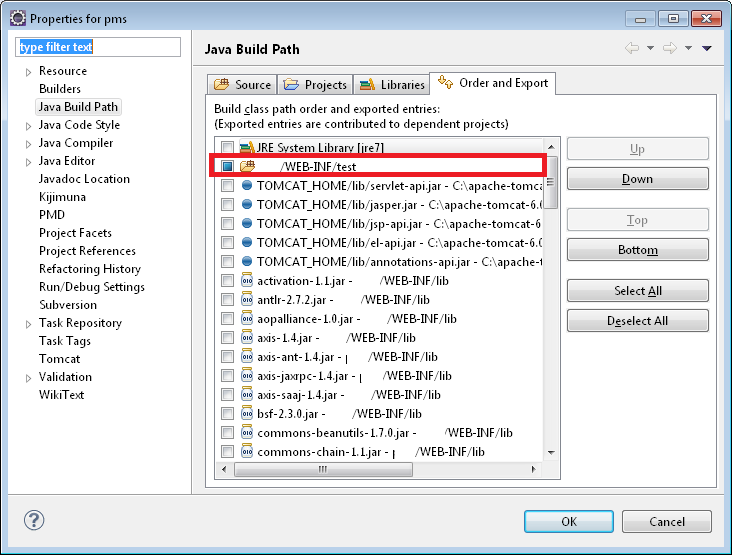 Note that in eclipse, we can set the “Javadoc command” from the “Generate Javadoc” menu. Use the right javadoc program from there. and another problem is that some jars may not have the doc attached. That may affects if we generate the doc from the code that use annotation from the jar that has no doc attached. ( this is related with ‘package-list’ issue ). The solution is point the -linkoffline to the doc folder, i.e. -encoding "Shift-JIS" -docencoding "UTF-8" -charset "UTF-8"